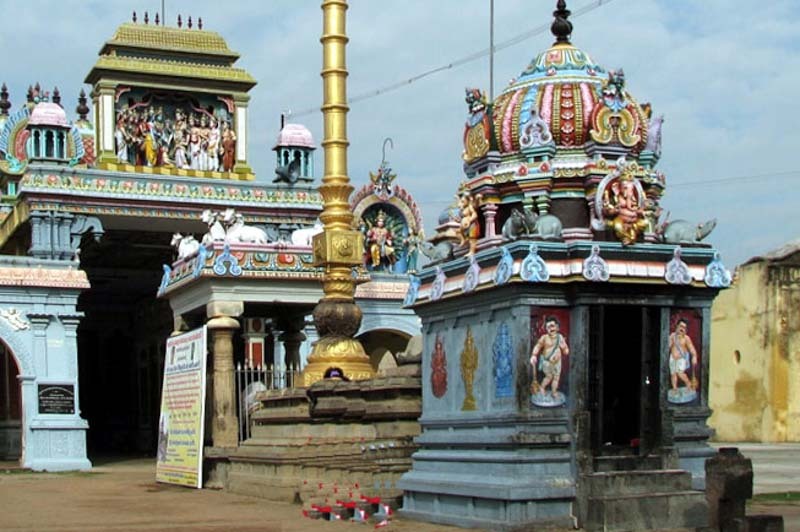 Swetharanyeswarar Temple is located in the town of Thiruvengadu near Sirkazhi and is around 28 kms from Mayavaram, 14 kms from Vaitheeswarankoil. The unique feature of the temple here is that there are three murthys, three Sakthis , three sthala vritchams ( holy tree ), Vilvam, Vadaval and Konrai and three holy tanks, Agni theertham, Surya theertham and Chandra theertham. This temple is mentioned in Valmiki Ramayanam and considered equal to Kasi. Here in this temple, Lord Shiva is incarnated as Agora Murthi. Indran, Iravatham, Suvathakethu,Suvethan, Mahavishnu, Suryan, Chandran, Agni were said to have worshipped Lord Shiva here. The temple has big rajagopurams in the east and the west. as you enter through the east entrance, we can see the flagpost, narthana Ganapathi in the flagpost base, and nandhi. In the west is the corridor with hundreds of beautifully carved pillars and a shrine for Lord Arumuga. In the outer corridor we can see the shrine of Brahma Vidyambigai. Inside the shrine area you can see 'pillai iduki annai' ( mother carrying a child) and Sukravar annai. Towards south side of the temple we can see seperate shrines for Varan ganapathi and Somaskandar. In the north corridor we can see the moolavar Agoramurthy and his utsavar in separate shrines. In the centre is a big shrine for Swadharanyaswarar as Mahalingam. In the left side of the ambal mandapam there is a seperate shrine for Budhan. He is the son of Chandran and Tharai. Budhan is said to be the one who does good deeds. He is seen as the authority of all arts and to the devotees who worhship him, he bestows intelligence, education, mastery in arts such as music, astrolgy,maths,medicine and linguistics. His consort name is Ilay and his son name is Puroovar. If the Budhan is unfavorably placed in one's horoscope, they may suffer from nervous problems, dull in acadamics and may not have children. Green is said to be color of this planet. By wearing green colored clothes, wearing green stoned rings, offering green gram will please Budhan. 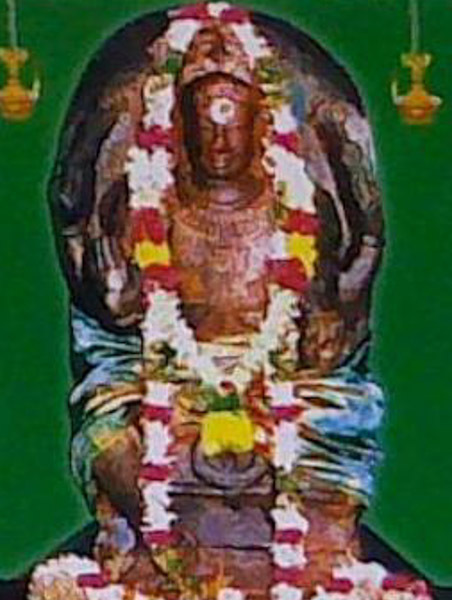 This Shiva Temple is praised in Thevaram and Tirupugazh hymns by the four great saints Tirugnana Sambandar, Tirunavukkarasar, Manikavasgar and Sundaramurthy Nayanar. Wednesdays are crowded here as poojas and abishekams are performed for Budhan. Pradoshams, sani pradoshams, Aruthra darshanam are celeberated in a grand manner. Rathorsavam (Chariot festival) is celebrated for 10 days during the month February. 5th day of the festival is celebrated for Lord Agora Murthi. Special offerings Green grams are offered to Budhan here. Temple location It is situated in the heart of the Thiruvenkadu. Temple Timings It is normally open from 6 am – 12:00noon and 4.00pm- 9:00pm. 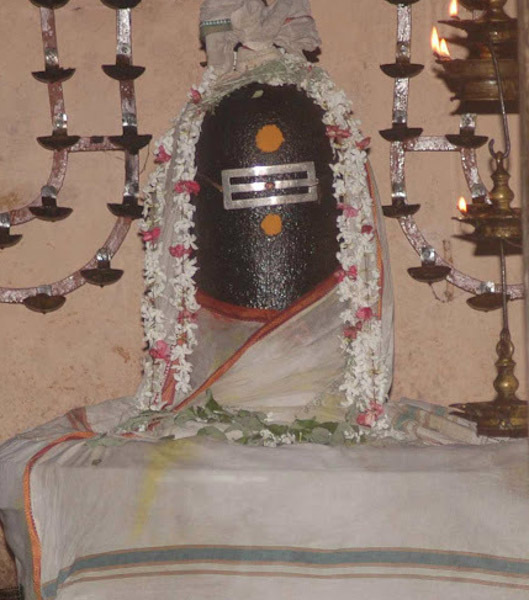 The temple is located 28 Kms from Mayiladudurai (Mayavaram) towards Sirkazhi, and 10 Kms from Sirkazhi. Plenty of buses are available from Mayavaram and Sirkazhi. Where to Stay?There are no hotels here.It is better to have Mayavaram as your headquarters where you have plenty of budget, semi-deluxe and semi deluxe hotels.